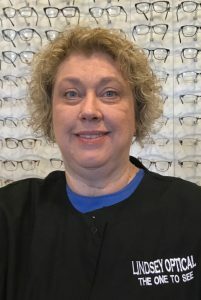 Brenda has worked at Lindsey Optical since 1998. Her first years were spent in pre exam testing and optical sales...for the last 10+ years she has loved working in the Billing Department helping patients get the most from their insurance benefits. 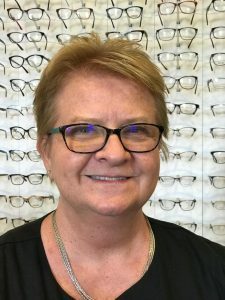 Sandy has been the optician at Lindsey Optical since 1996. She works behind the scenes in our lab ordering frames and cutting lenses. Sandy has the ability to turn the seemingly impossible – possible. If you’re lucky, you may see her out in our optical department. Sara has been at our office since 2009. 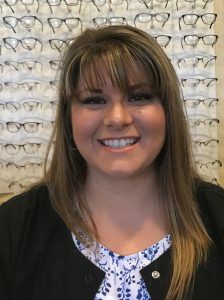 She primarily works at the front desk registering patients and scheduling referrals, but if needed she may also be found in pre exam testing or cutting lenses in the lab. 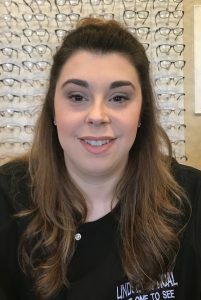 Jessica started her optical career in 2009 while studying at Concord University. After graduating with a Pre-Professional Chemistry degree, she began to work full time. She happily serves our customers in our pre exam department making sure our patients receive the best possible eye care. Rachelle has been here since November of 2015. Most days find her at the front desk registering patients for their exams. She is always more than willing to help everyone and always keeps a smile on her face doing so! Lisa has been in the optical industry since 2014. 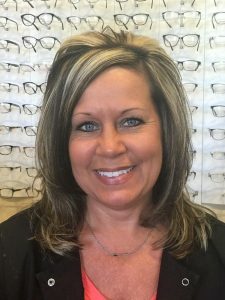 She loves people and enjoys helping customers find a stylish frame to compliment their features. 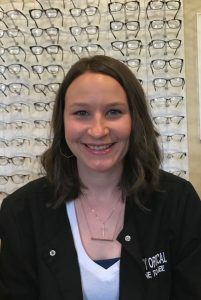 Lindsey Optical was the “perfect fit” for her! 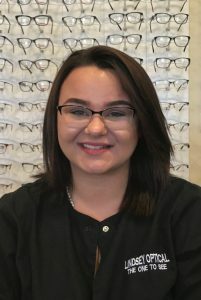 Andrea has worked at Lindsey Optical since September of 2017 and enjoys bringing a smile to everyone’s face. On any given day, you can find her in optical sales or pre exam testing...wherever our patients need her the most.